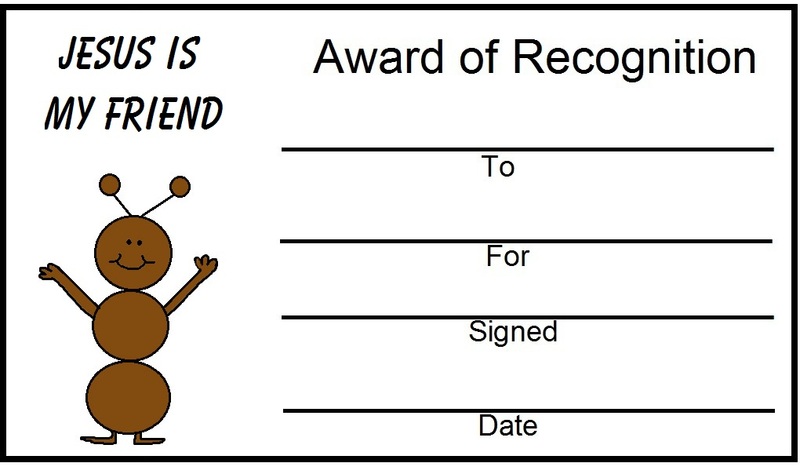 Just print out the award certificate and cut them out. 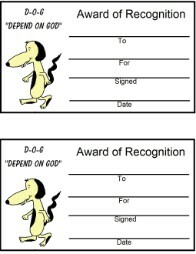 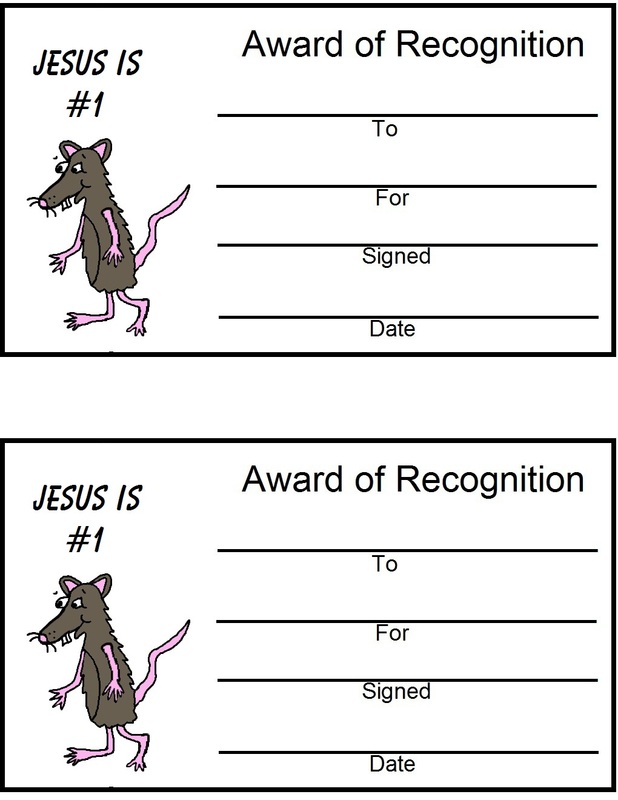 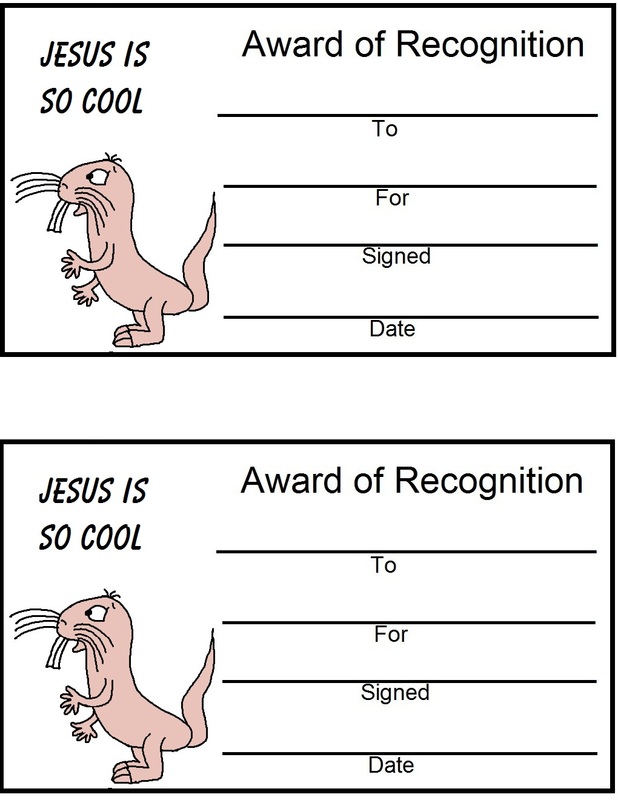 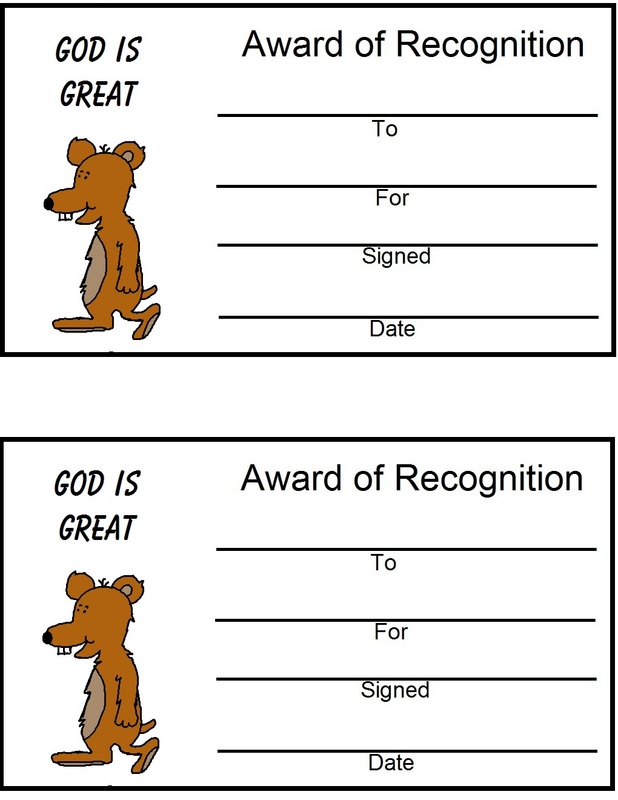 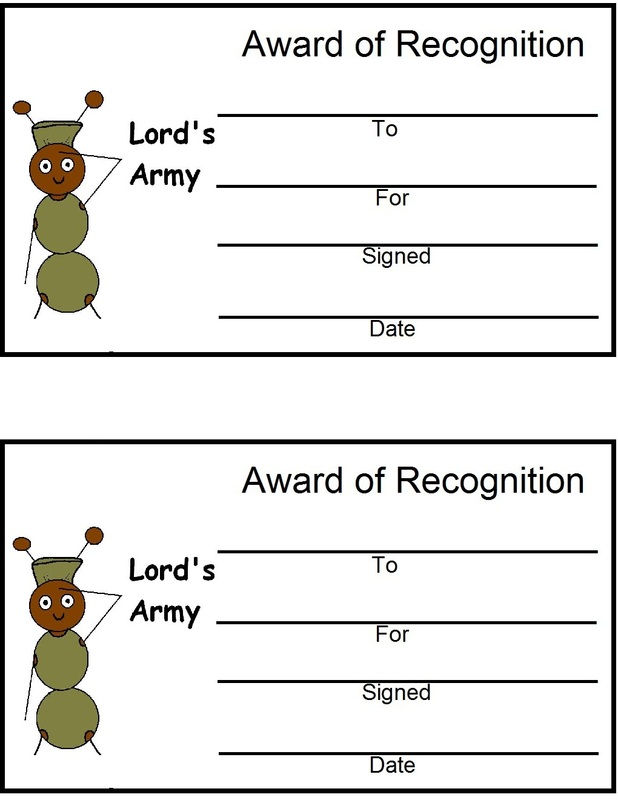 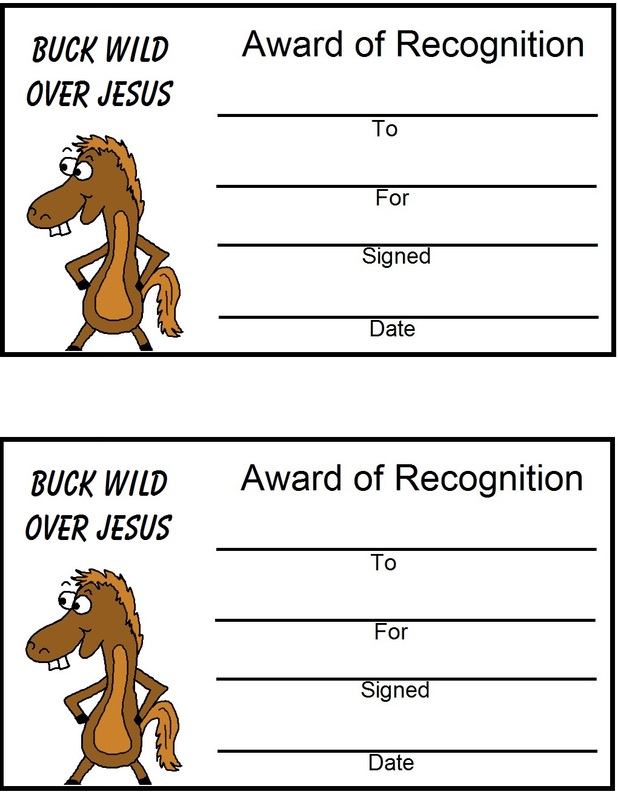 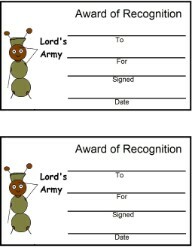 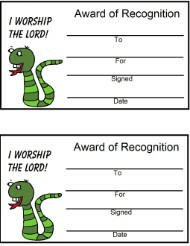 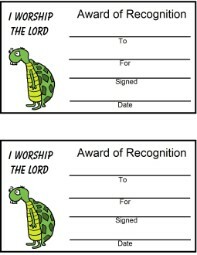 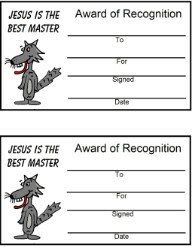 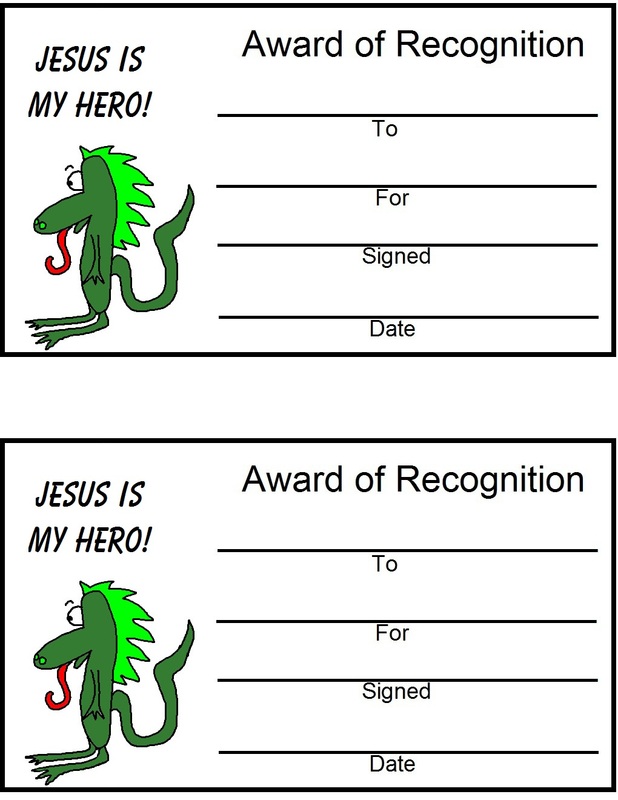 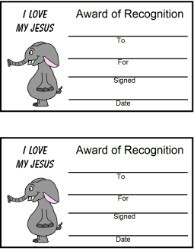 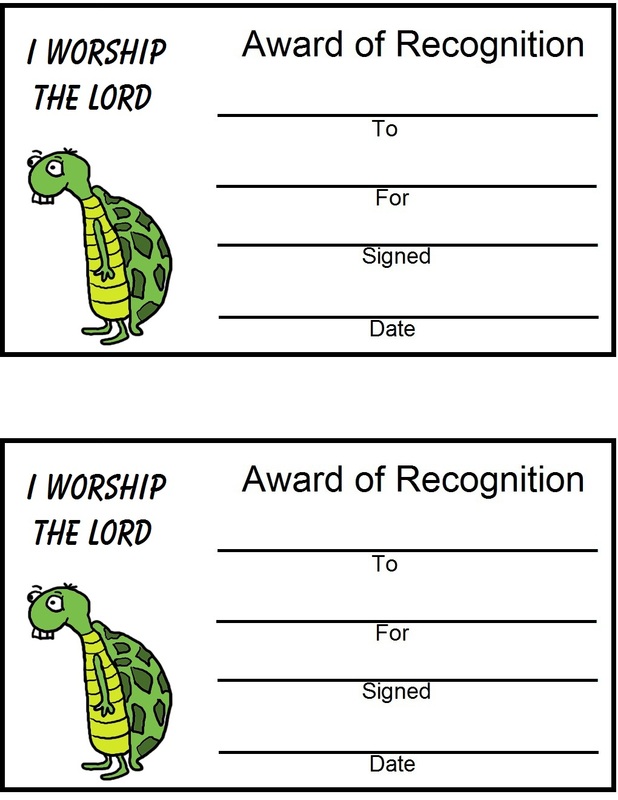 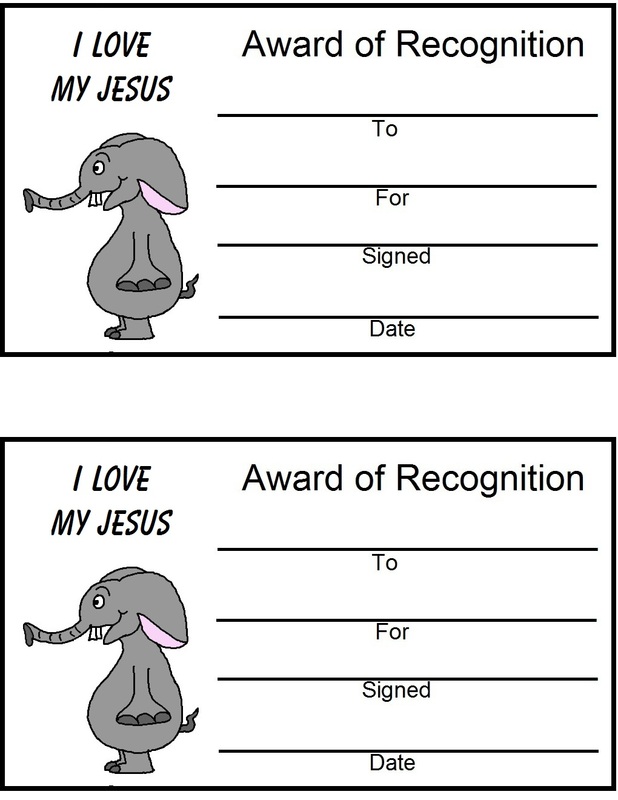 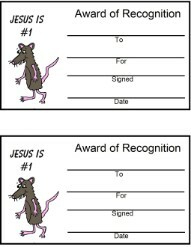 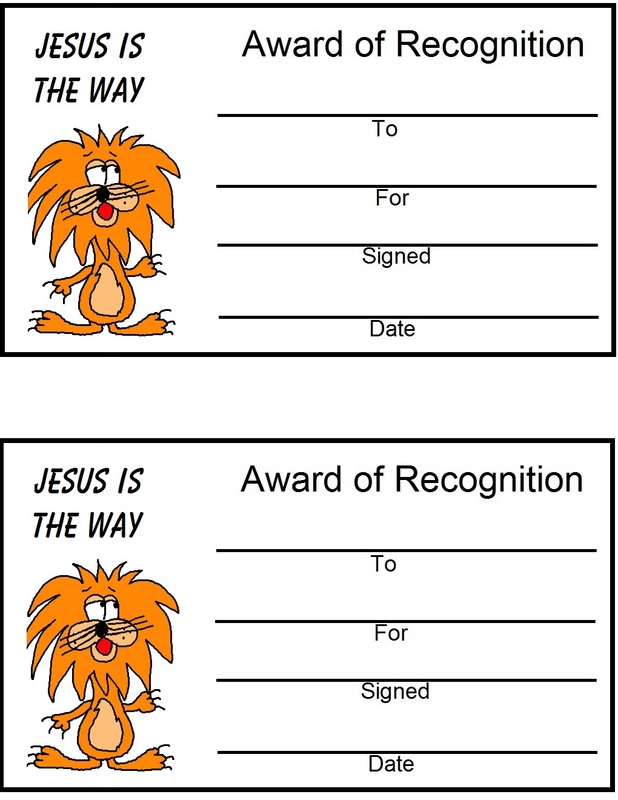 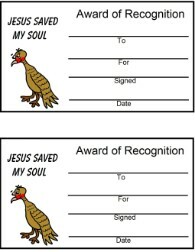 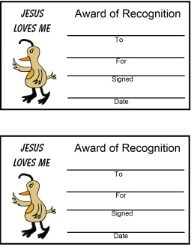 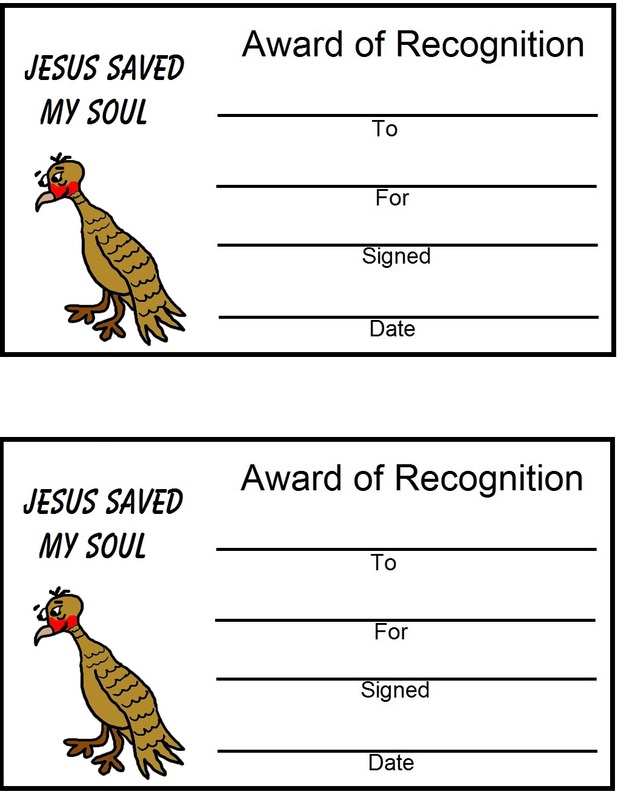 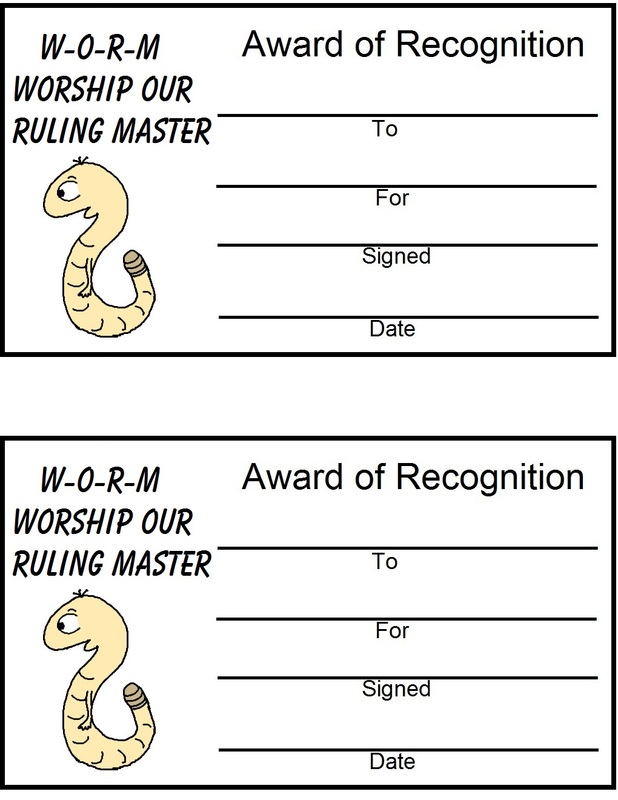 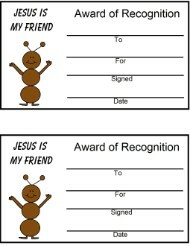 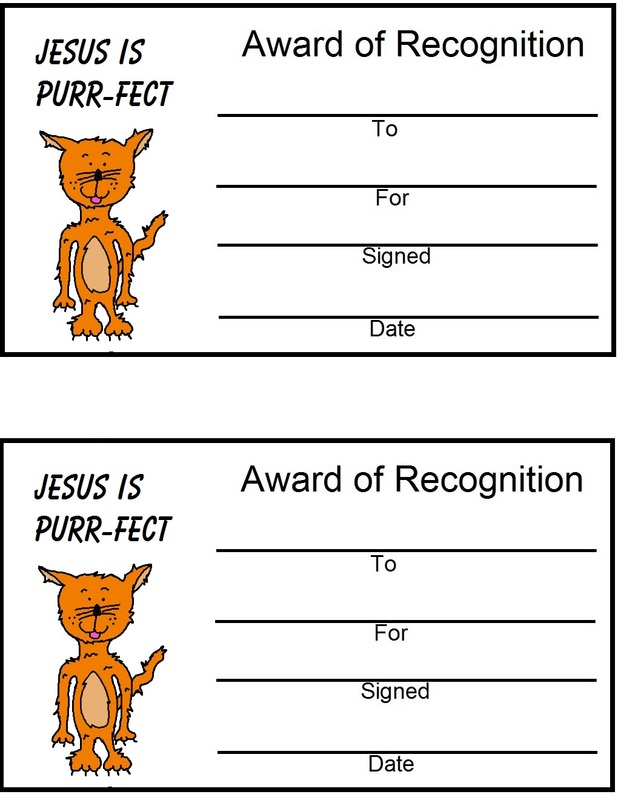 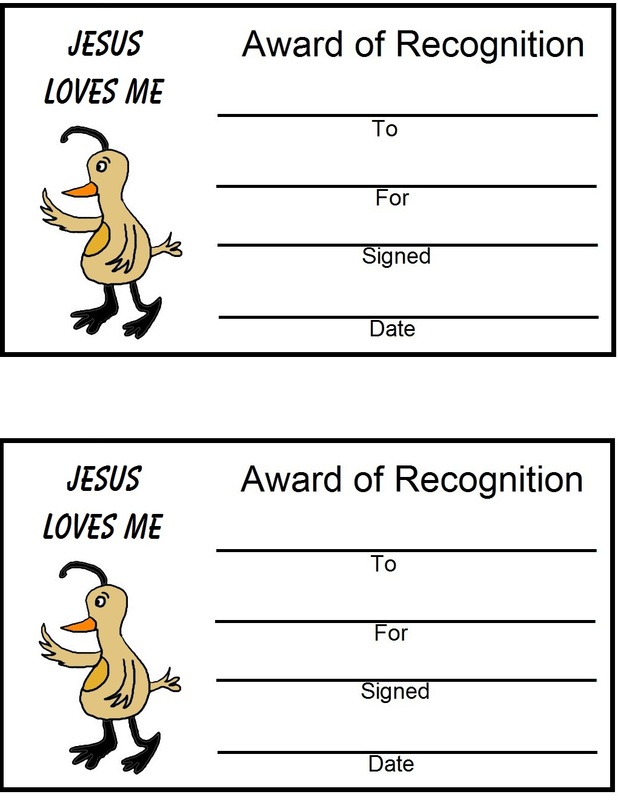 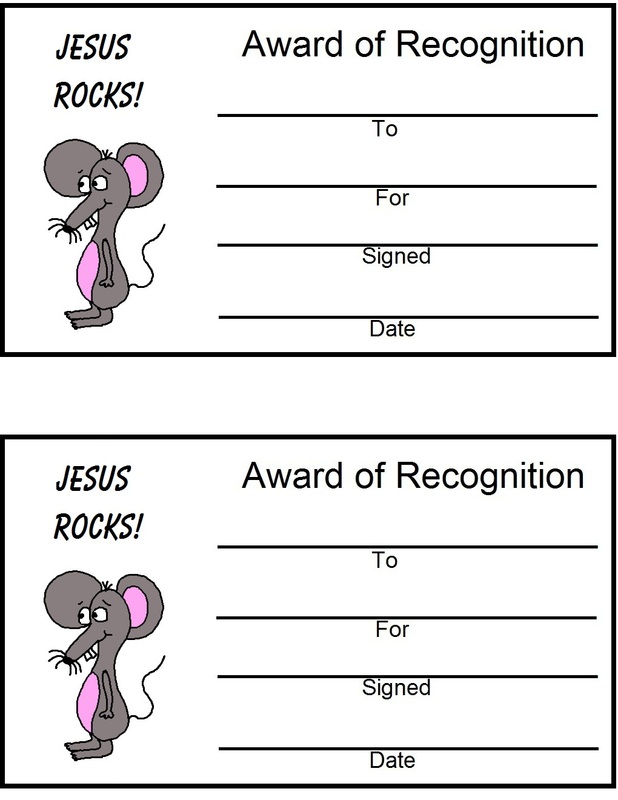 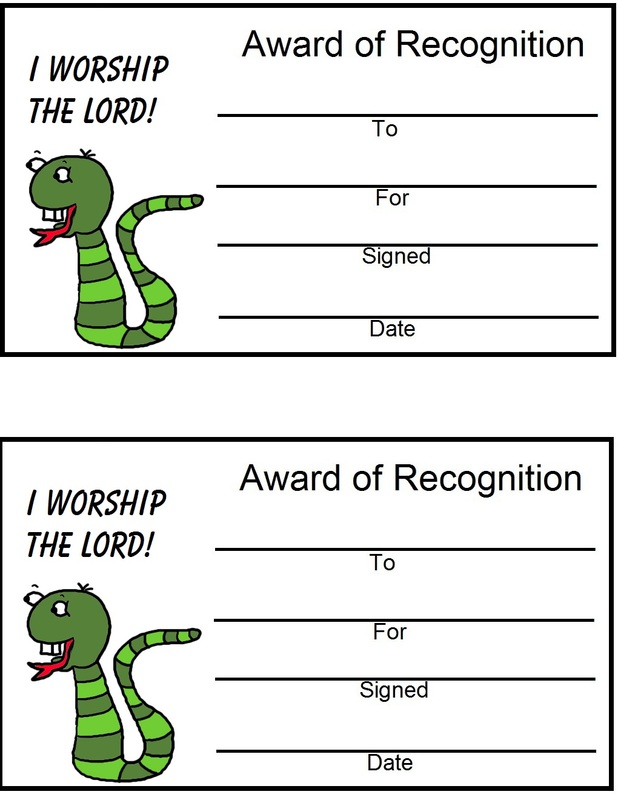 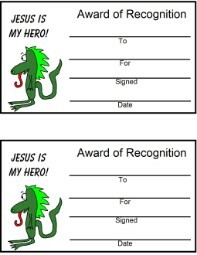 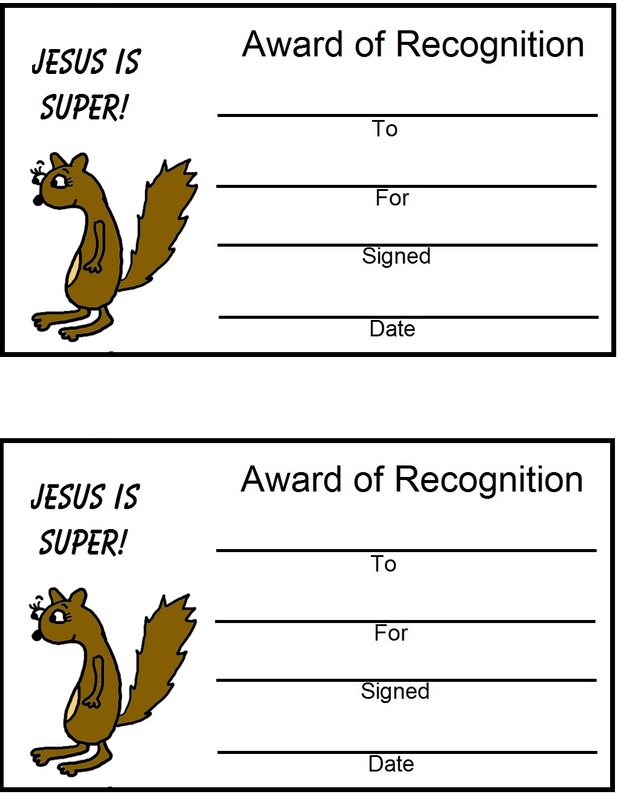 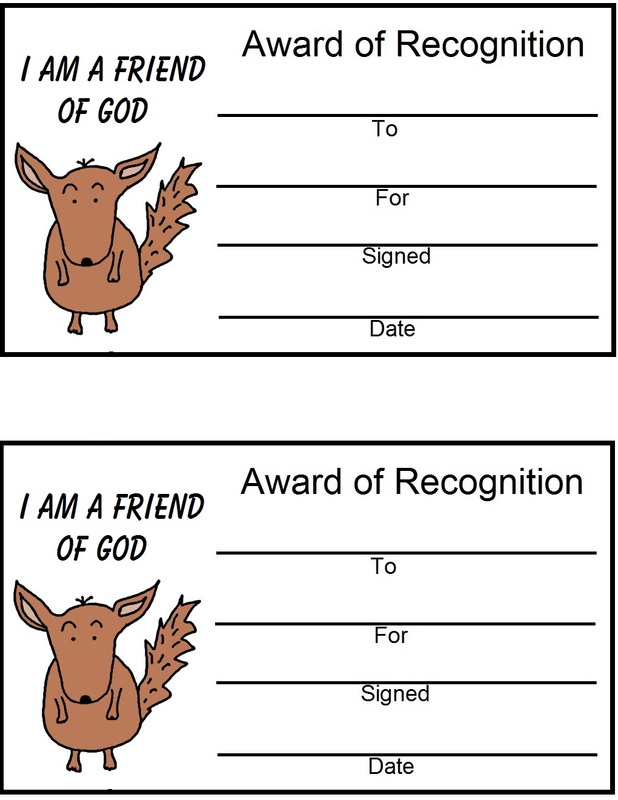 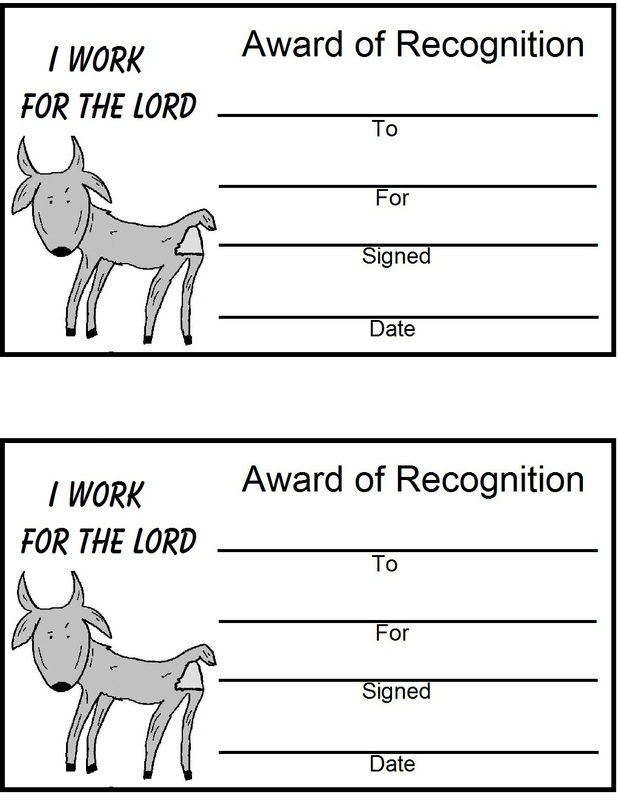 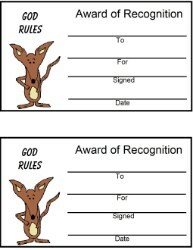 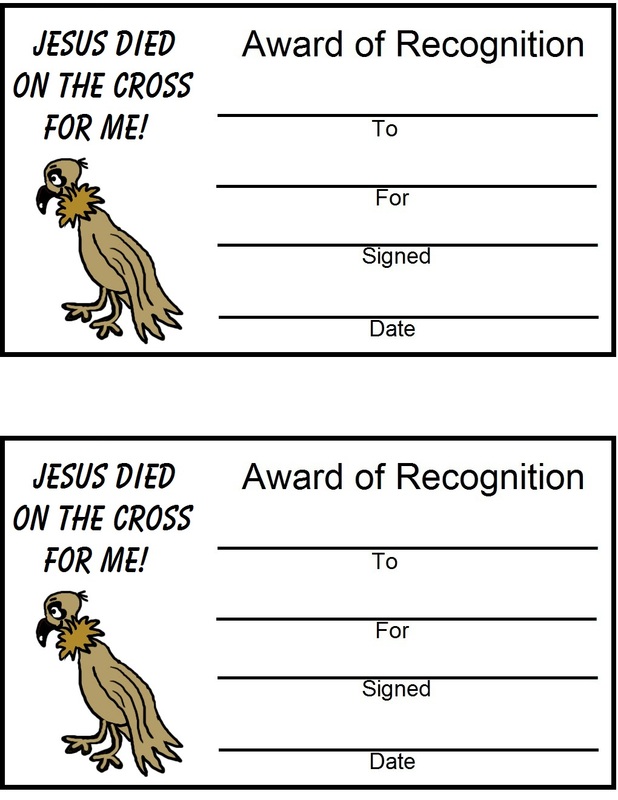 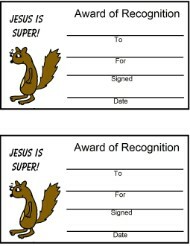 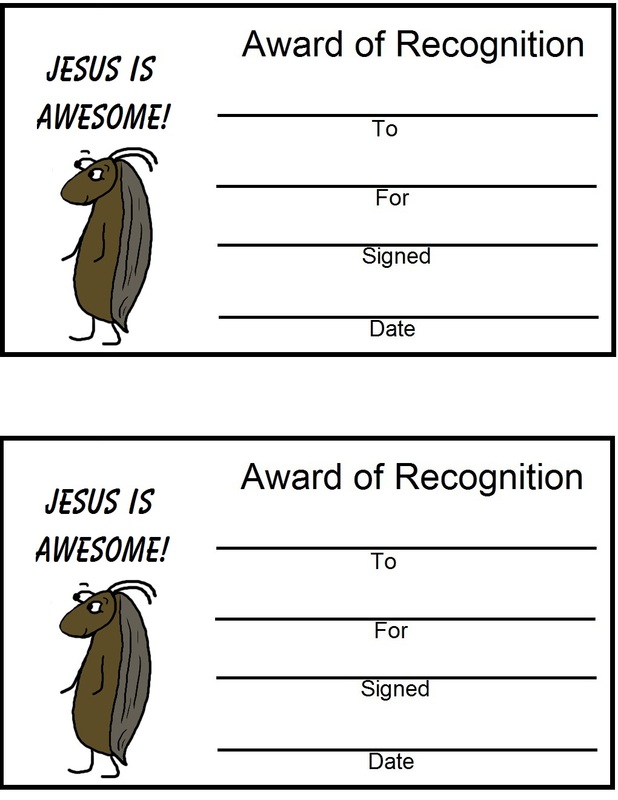 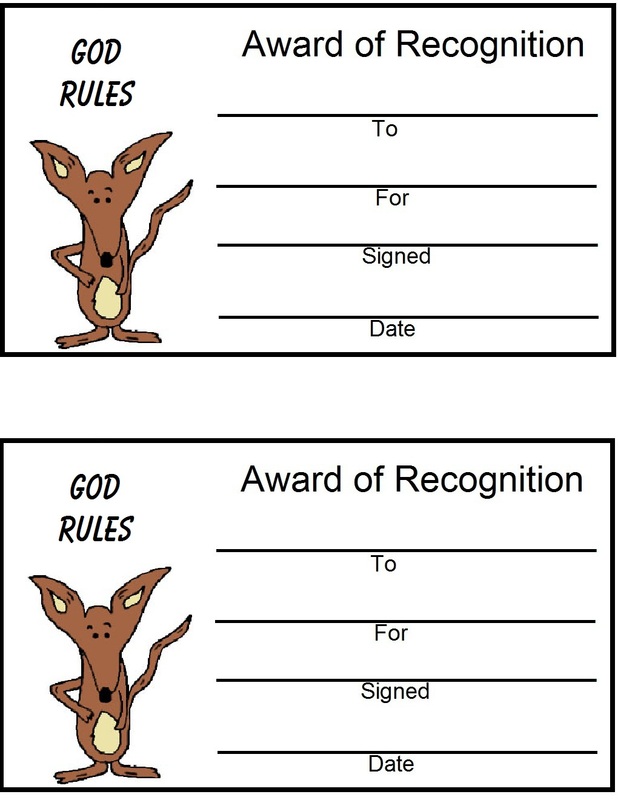 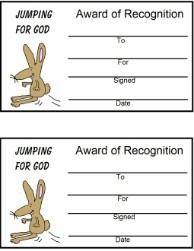 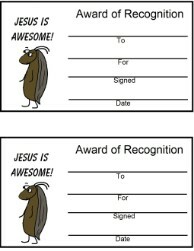 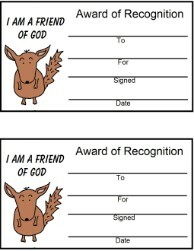 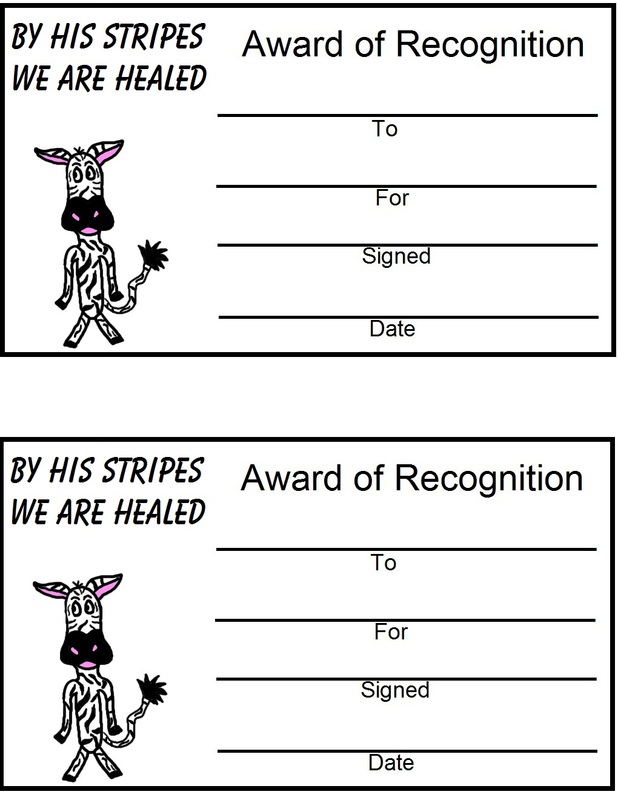 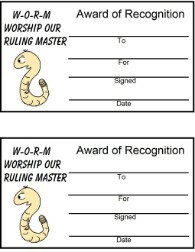 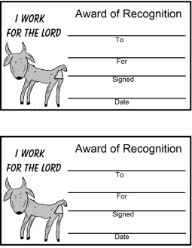 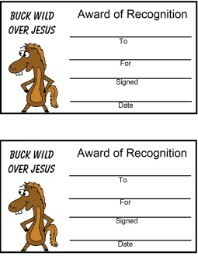 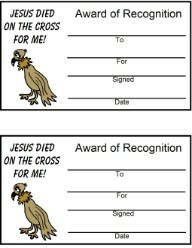 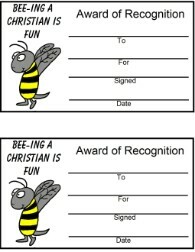 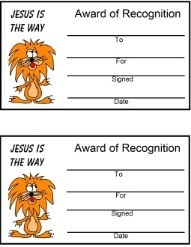 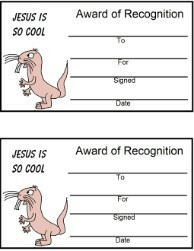 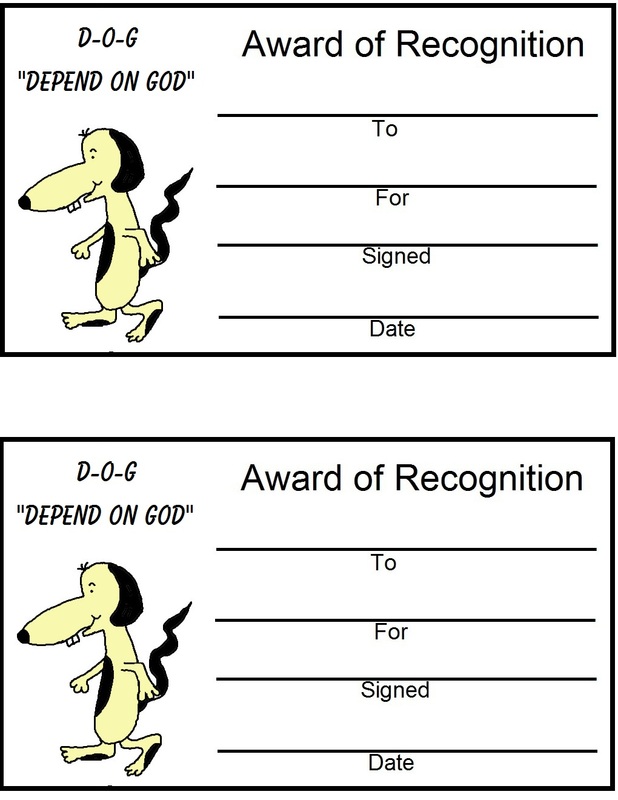 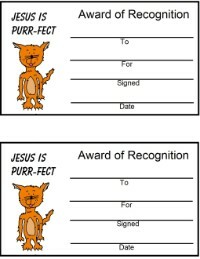 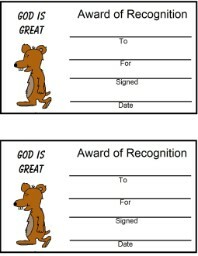 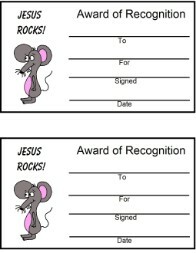 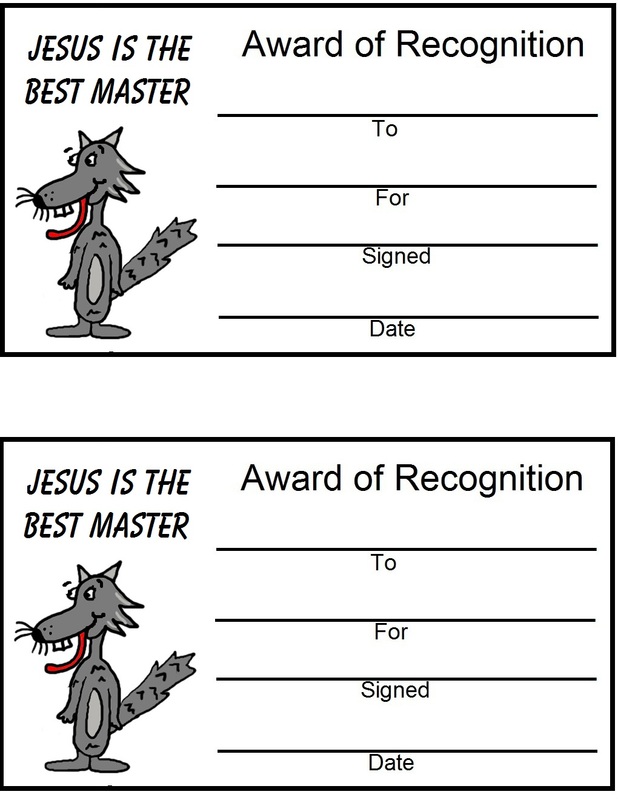 Laminate the awards and then pass them out to the kids in Church. 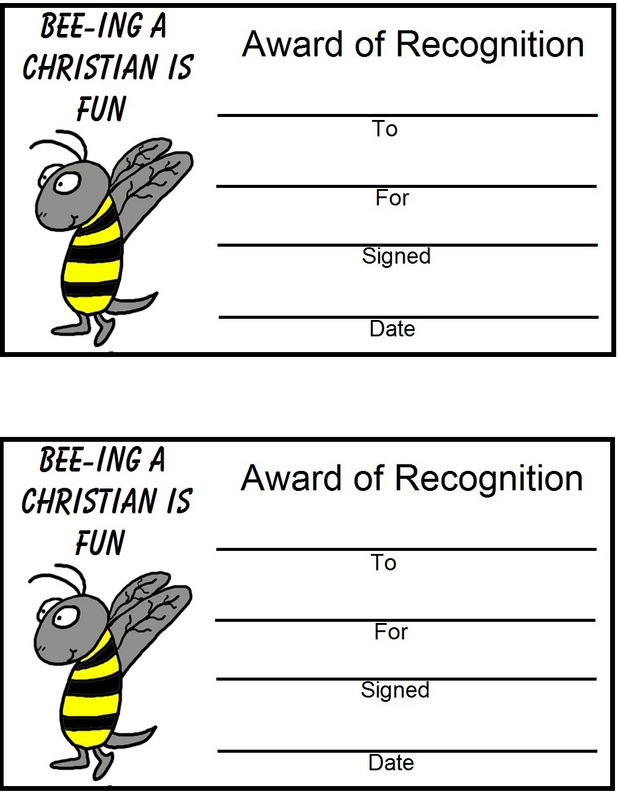 "I work For The Lord"
" I Worship The Lord"
"Jesus Is The Best Master"
"Bee-ing A Christian is Fun"